Honey Bee Weddings: New Bridal magazine? Nothing makes my heart beat faster than a bridal magazine. Coupled with the term "free", and I'll be first in line. 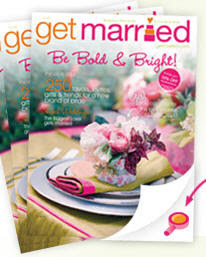 Get Married now has a magazine. Eco friendly? View the magazine online. I signed up for my free magazine! I love bridal magazines!